Our hearts are heavy thinking about the toll of this year’s weather related disasters. Whether it’s hurricanes, floods, or wildfires, this year has been brutal. If you are one of ones hit, please know our hearts are with you. Twenty five years ago, John experienced a fire in his uninsured studio at the hands of an arsonist. We know how devastating it is to your mind and soul to witness something you’ve worked so hard to build, in ruins. Our daughters served in AmeriCorps NCCC. 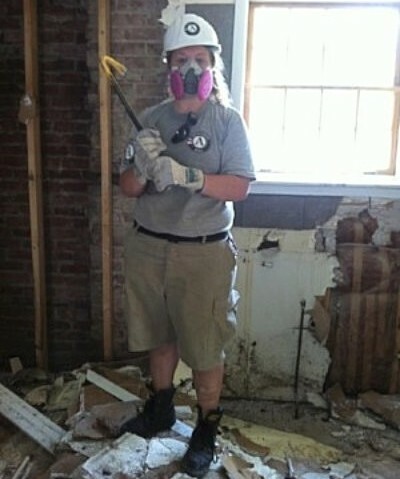 Michaela helped victims rebuild after Hurricane Katrina, and Hannah and her team were deployed to New Jersey just hours after Hurricane Sandy left her path of destruction. As parents who told our girls more than once, “Come home,” John and I are so very grateful they refused our pleas. AmeriCorps is an extraordinarily program important for so many reasons. To everyone, we want to help others raise funds for food banks, and Humane Society locations in distressed areas, as well as for the Craft Emergency Relief Fund (CERFPlus.org), a non-profit that helped John get back on his feet back in 1992. Please let us know of silent auctions for these kinds of fundraisers, so we can possibly donate our handcrafted goods. We know it’s a tiny drop in the vast bucket, but these auctions allow us help raise more funds than we could afford to give on our own. Please feel free to pass along our contact info or email us with the information.